Yes, the clear liners are virtually invisible, so they enable patients to feel good about themselves and their appearance, while getting the orthodontic treatment they need. Are there wires, rubber bands, and brackets with Invisalign? Nope. 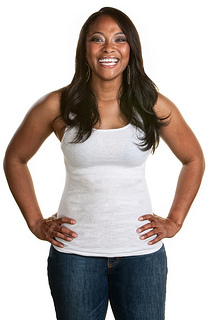 Invisalign is truly an alternative to conventional braces. The treatment consists of clear liners that can easily be removed and cleaned throughout the day. There are no wires, so there’s less poking and mouth irritation compared to braces. There’s also no wire tightening at adjustment appointments, so patients don’t have to worry about a sore mouth in the days that follow in-office visits. I’ve heard that if I get braces, I won’t be able to eat certain foods like popcorn and hard candy. Is this true with Invisalign too? No. With Invisalign, there are no food restrictions. You simply remove your aligners when you’re eating, and replace them after you’ve finished and brushed any leftover food particles away. Does Invisalign cost more than braces? While overall cost varies on a patient-by-patient basis and is based largely on the level of treatment, Invisalign costs about the same as traditional braces, which makes this treatment option a truly affordable alternative. How does brushing compare with conventional braces? Brushing your teeth while wearing conventional braces takes some getting used to. Patients have to brush around the metal brackets and floss with a specialty tool to get into the hard-to-reach areas of the mouth. 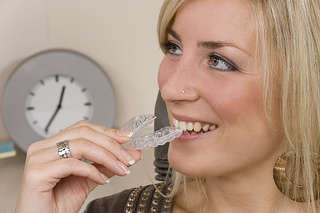 By contrast, Invisalign can be removed at any time to permit regular brushing and flossing. Every patient is different and Invisalign might not be the best course of orthodontic treatment for everyone, but it's an option that's gaining more and more popularity, and it's an orthodontic alternative that doesn't sacrifice comfort and convenience for results. For more information, or to schedule a consultation, please give us a call at our convenient Springfield office! Most of us aren’t born with a red carpet smile. And if you’ve thought about straightening your teeth but are apprehensive about doing so with traditional orthodontic treatment, Dr. Robert Reynolds and our team at Ozark’s Preferred Dental want you to know there is another option – Invisalign®! Our team at Ozark’s Preferred Dental is proud to offer Invisalign, which uses a series of invisible, removable and comfortable aligners that no one can tell you’re wearing, which allows you to smile more during treatment, as well as after. Not only are the aligners invisible, they are also removable, so you can eat and drink what you want; brushing and flossing is easier with Invisalign than with traditional braces. A consultation with Dr. Robert Reynolds can determine if Invisalign is right for you. We encourage you to give us a call at our friendly Springfield office if you’re interested in learning more about Invisalign or if you are ready to visit us for an initial consultation! We look forward to seeing you! 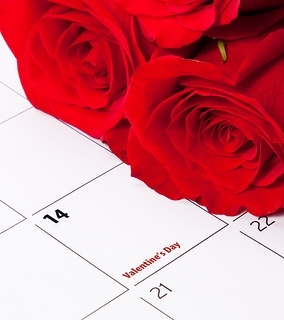 Although many people dismiss Valentine’s Day as a commercialized “Hallmark holiday,” it is beloved to couples and romantics across the United States and other countries. The team at Ozark’s Preferred Dental wants to remind all patients that no matter what your celebratory plans, February 14th can be a wonderful day to celebrate the loved ones in your life. Happy Valentine’s Day!